Microsoft AppLocale is a utility that allows Unicode (UTF-16) based Windows XP and 2003 users to run non-Unicode legacy (code-page based) applications without changing the current system locale. AppLocale automatically detects language for non-Unicode program and simulates a corresponding system locale for code-page to/from Unicode conversions. Although AppLocale not yet been updated for Vista, it can be used without any issue. However, when trying to install AppLocal in Windows Vista, the following error will occur. There is a problem with this Windows Installer package. A program required for this install to complete could not be run. Contact your support personnel and package vendor. 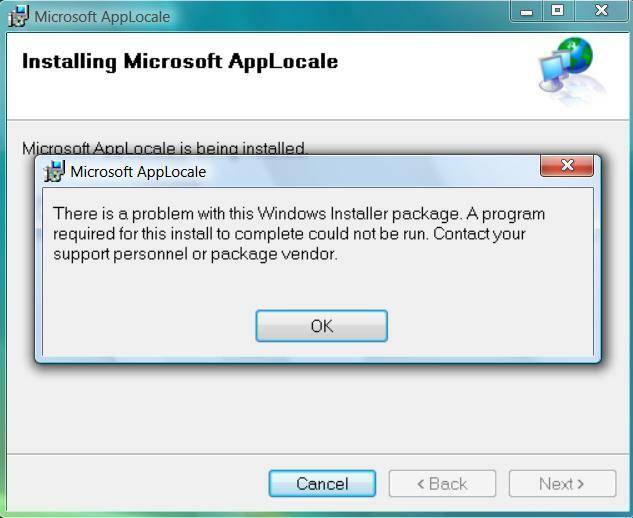 The installer was interrupted before Microsoft AppLocale could be installed. You need to restart the installer to try again. The installation problem is likely caused by User Account Control security measure. If you turn off User Account Control, the error likely to go away and AppLocale can be installed properly. However, here is another workaround that do not need you to take security risk by disabling UAC. Run an elevated command prompt by right clicking on Command Prompt on Start Menu and then select “Run as Administrator”. Click on Continue when User Account Control dialog prompt comes out. Change directory to the folder where you put the apploc.msi Windows Installer Package. Type apploc.msi to start the setup. 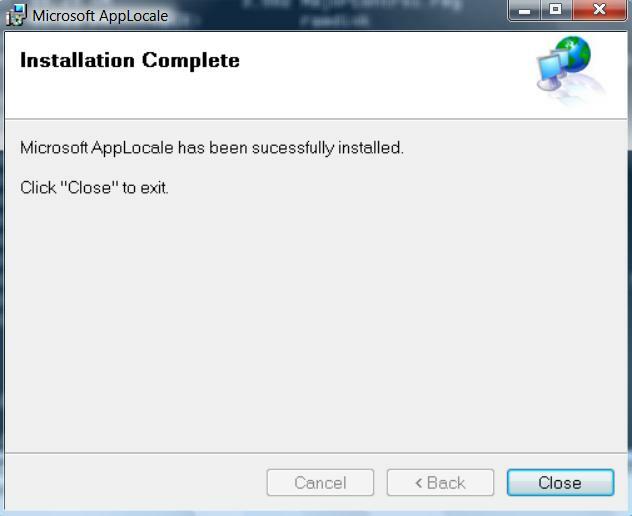 The AppLocale installation will complete successfully.